Laziness is a nasty little affliction that afflicts everyone from time to time. Everyone wonders to themselves from time to time “How can I stop being so lazy?“. Overcoming laziness, or the ability to do things that we do not want to do, is a crucial part of gaining success. Things simply have to get done and we have to do them or make sure they are done. When we come to terms with this fact, that we will have to do unpleasant tasks to become successful, it makes it a whole lot easier to just ‘buckle down’ and do the tasks we know we will have to do at some point anyway. Success is the result of a few big tasks done and accomplished and a whole bunch of miniscule tasks done and accomplished. Today we are going to focus on how to get all those small tasks done that we just don’t have the desire to do. Lazy people let the small tasks go unfinished for far too long. Successful people make sure those small tasks get done as quick, painless and efficiently as possible. Here is successful people overcame laziness. 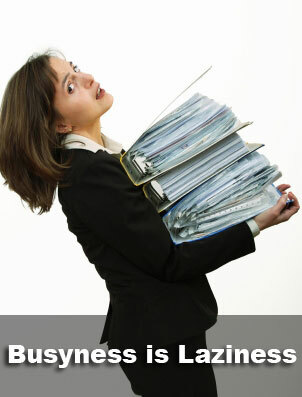 1) Get organized – The most important aspect of overcoming laziness is getting organized. So many times we want to do something productive but the clutter and the junk makes it seem impossible to get anything done and entices us to not even start our task. A nice, clean and organized work space just invites us to do some work and be productive. A cluttered and trashed work space invites us to stay on the couch. Set aside a few hours to devote to organizing work stations – everything from your desk to your computer files to your favorites links on your web browser. Make everything as easy, seamless and efficient to find as possible. 2) Make a ‘to-do’ list every evening before bed – It is imperative to write down our goals so we can visualize exactly what needs to be done. Every single night make a ‘to-do’ list on a notebook or in microsft word and add 5-10 things that must be accomplished the next day. From small tasks like going to the bank to big tasks like finishing up gigantic projects. Everything that needs to be done needs to go on the ‘to-do’ list. No task is too big or too little for the ‘to-do’ list. 3) Complete your ‘to-do’ list first thing in the morning – We all know that feeling of dread, of impending doom, when we know we have to do something but we don’t want to do it. So we put it off and put it off and it just keeps eating at us, making it harder to do the task but still eating us up inside. The only way to get rid of that feeling is to do unpleasant tasks very first thing in the morning and get them overwith. Do all tasks in the morning, starting with the hardest task and ending with the easiest task. After you have completed all your tasks for the day first thing in the morning you have your whole day free knowing you have taken care of business already. 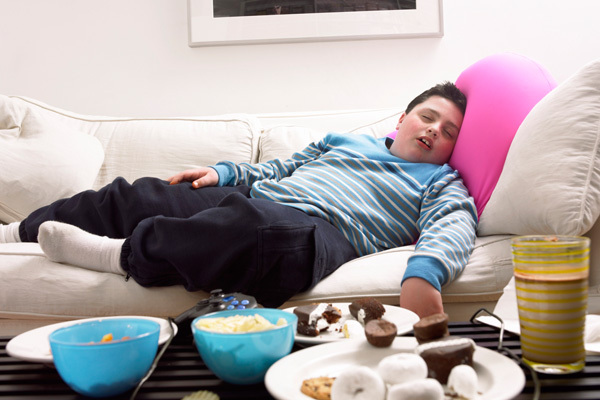 4) Dress the part – A huge factor contributing to laziness is slothful or lazy dress. Wearing a pair of shorts and sandals does not make someone feel like working. On the other hand, wearing a nice button up shirt and a tie does make us feel productive. It makes you want to get stuff done. Every single day you should dress like you are going to an important, high dollar meeting – even if you work from home, even if your company has a casual dress policy, even if you are feeling lazy and don’t want to dress the part. You’ve got to dress for success because it gives you a successful, productive mindset. Always present the best you that is possible. 5) Be hyper-aware of the time – Starting and finishing our ‘to-do’ list at the exact same time every morning is imperative. It’s called habit and routine and it’s what separate the lazy from the productive. When you have a routine and habit it is easy to get stuff done everyday. Having no routine it makes it very hard accomplish anything. Start a routine, set specific times to start and accomplish your goals every single day and always be aware of the time. You never want your allotted end-time to come without finishing what you have started. Watching the clock forces you to work harder and faster to get everything done. We want a definite start time and a definite finish time to complete our ‘to-d0′ list every morning. 6) Keep a notebook – Keeping a notebook on you is highly beneficial. One of the reasons is that ideas often come to us when we are driving down the street, walking down the road, sitting in a train or other places where we aren’t prepared to act on the ideas. Keeping a notebook will let you jot down these ideas, upcoming ‘to-do’ tasks and we can review our notebook each evening when completing our nightly ‘to-do’ list. 7) Have a lazy Sunday – Being productive all week is a great feeling. After being productive it’s ok to take one lazy day per week, and there is no better lazy day than Sunday. The business that matter aren’t open on Sundays, most people don’t take phonecalls or respond to e-mails on Sundays, and taking a lazy Sunday will let you rest and prepare for the most important day of the week – Monday. 8) Have someone else do the unpleasant tasks – Laziness is really just not doing things you don’t want to do. Like calling customer service, or going to the post office and mailing a letter, or balancing the books, or calling back clients, or going to the bank, or calling the airline to change a departure. When we want to do something nothing can stop us, when we don’t want to do something the littlest snag can stop us. Having a personal assistant, co-worker, secretary, wife, girlfriend, or virtual assistant to do these things for us keeps us fresh for the real tasks that we need to accomplish. It’s the 80/20 rule: 20% of the things we do are the most important and matter the most and we enjoy doing them. 80% of the tasks we have to do are minutia that we don’t like doing but have to be done. If someone else can do it – let them! Laziness is the enemy of productivity. If we were lazy, there is no way we could accomplish meaningful things. We may procrastinate doing things, or – even if we do them – we may do them only half-heartedly. There is no way we can produce high-quality results that way. You could feel lazy if you do not have enough energy to do your activities. Exercising is a good way to increase your energy level so that you feel energized and alert throughout day. Not having enough rest could also make you lazy. How can you feel enthusiastic if you are sleepy? So make sure that you have good rest. The most difficult thing is to get started – the rest will be easier. So set a small amount of time, like 15 minutes or even 5 minutes, and decide to work on the task until the time is up. After that, it would be easier to decide to continue. This is among the most effective ways to defeat laziness. If you have a sense of urgency, it will be much easier to get up and do what you need to do. One way to create a sense of urgency is by setting a deadline. You can read more about it on my article about sense of urgency. One reason we become lazy is because we only see the difficulties of the tasks ahead without thinking about the benefits we will get when we finish them. So focus your mind on the benefits instead of the difficulties. If the benefits are too far in the future, they might not be strong enough to motivate you to act now. In such cases, you can give yourself a more immediate reward. You may allow yourself to eat your favorite meal or watch a movie as your reward for completing the tasks. While thinking about the benefits can motivate you, thinking about the disadvantages if you do not do the tasks can also motivate you. What are the consequences if you do not do what you are supposed to do? Partners can motivate you to overcome laziness. While inner motivation is the best, sometimes we also need motivation from the outside. Make it your resolution to minimize idle time. Try to be in the state of doing as often as possible. If you have this mindset, it will be easier to overcome laziness. We could be lazy if we feel overwhelmed by the scale of the task. In such cases, divide the task into manageable chunks, and then tackle them one by one. Remember, the way to eat an elephant is by taking one small bite at a time. We may procrastinate because we are not sure what to do next. So look at the task and decide what the next physical action is. Once you know exactly what to do, it will be easier to start. It may seem obvious, but we could be lazy because we try to do more than one thing at a time. That makes us feel overwhelmed. So select just one thing at a time, do it, and ignore the rest. Make the tasks fun by turning them into a challenge. Can you accomplish those tasks? Many people can, so why can’t you? 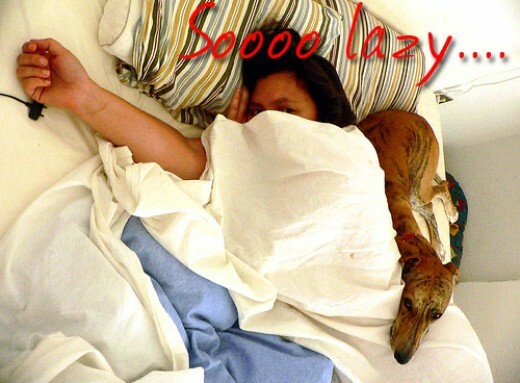 You will be more motivated if you can easily see the effect of laziness. One way to do that is by tracking your progress daily. Put a mark whenever you complete a task. Laziness will give you an empty sheet, and you can easily see how bad it is. Knowing how far behind you are compared to other people could also motivate you. Watch good performers in your field and let their performance inspire you. While all the tips above can help you, it will be much easier to overcome laziness if you do something that matters to you. You will have the burning fire within that make you want to act. So find a cause that matters to you and align yourself as much as possible with it. 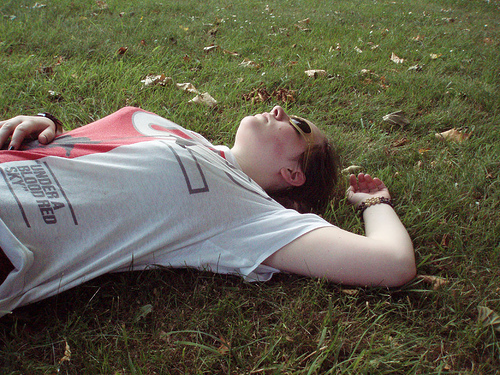 Tiredness leading to laziness- Tiredness can cause laziness. While you are feeling lazy, do a self check whether you are tired physically or mentally. spice up your family life with a family tour or a surprise movie. Try to mix up different types of work. Organized mixing up of works leads to freshness in mind. Sleep also helps to bring back freshness. Take rest, sleep for at least 8 hours at night. During your work, if physical tiredness comes in your way of marching forward, just a small 10 minutes nap works wonders. Consult a doctor. You might have some hidden physical problem. If you work for long hours continuously, you should consider day sleep as an option. Do you often have a desire to stay idle and do nothing? Actually laziness is a state of passivity. A lazy person allows letting things stay as they are. 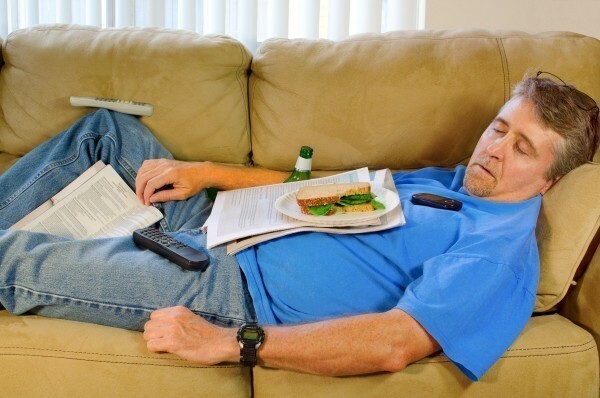 In this article I have laid some tips that will help you to overcome laziness and lead an active life. It is very important to make a to-do list before starting your day. Your to-do list should not be filled with too many tasks but it should only contain the most important tasks you need to accomplish on a particular day. Too many tasks in a to-do list can be overwhelming and you will end up being less productive. Most of us often avoid our tasks because they are too big to handle. If you want to solve this problem then I would recommend you to break your task into several smaller parts. In this way the task will not look so intimidating and difficult. This habit will always help you to overcome inner resistance and to start the task at hand. If you really want to complete the task you have started then it is very important to remove the distractions. Turn off your mobile phone and internet notifications. Try to be at a place where nothing can disturb you. You can really boost your productivity by following this important technique. It is very important to maintain your focus on one task at hand. Thinking about pending tasks can make you anxious and unproductive. Focusing on one task at a time is one of the most important habits a person needs to develop. If you really want to stay focused then it is recommended to take small breaks in between the tasks. This will keep your mind fresh and creative. 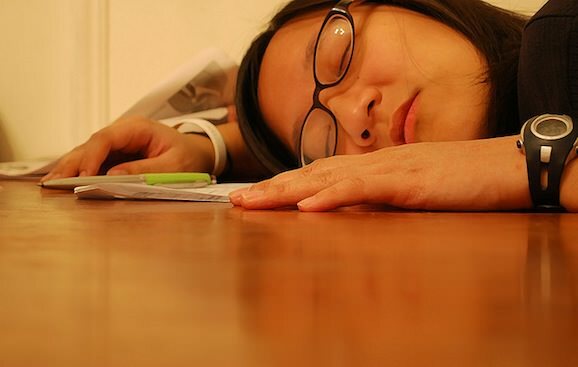 Are you procrastinating due to lack of motivation? If the answer is yes then it is very important to stay motivated with the help of Positive thinking and visualization. One should always have a vision of what he wants to be in life. This will always help you in achieving your goals. I would recommend you to read inspirational stories and go through self-improvement books on regular basis. If you really want to stay active then it is very important to reward yourself for your accomplishments. Don`t ignore your small achievements. You can really boost your confidence by rewarding yourself for the tasks you have accomplished. If you want to get rid of laziness and stay active then choose to act. The most important step is to ignore the inner resistance and start moving towards your goal , everything else goes with the flow.